As always–we have just 40 days–so: http://www.indiegogo.com/The-Cooking-Gene-Project-The-Southern-Discomfort-Tour Please support us–we need you! We need our community of readers and our arms are open to all the blessings and possibilities this trip has for all of us! Maybe you can help me find a “field pea” I have been looking for. My ancestors moved to Florida in the 1840′s and brought with them their favorite plants from Georgia and South Carolina. Ribbon cane for home made syrup, mustard green seeds, collards, sweet potatoes, corn and field peas. We had the pea seeds until a couple of years ago when our supply got damp and ruined. I have searched all over to find a supplier for the seeds. We called them running acre peas. They have very long pods and a robust vining growing habit. The pea itself is a small oval shape and very pale green with no color in the eye. They cook up to a light “pot licker” and are extremely tasty. If you know where I can get some of this seed, I would really like to know. I am curious whether or not your family was part of the so-called “Florida Cracker,” culture or whether your roots are in the movement of African Americans into Florida as a part of the spread of slavery or escape. Either way this is very exciting. I’m very interested in the former culture, because there are so many links between the three cultures in Florida–white, black and Native American. Since you gave me the name I did a bit of internet research. M.J. Stephens of the University of Florida tying the varieties of Vigna species. As you know the Vigna family is of African origin and is quite widespread. I’m calling your attention to group 8. The common name for them are “conch” or “conk” peas and my friend William Woys Weaver grows them for his seed bank in Pennsylvania. Seed Savers Exchange has it in their books and has growers that still raise them. I have seen this type of pea from Georgia through northern Florida so your family’s history matches up nicely with what we know of this variety of cowpea. The seeds are not crowded in the pods. They are white, with dark black eyes. Examples: Ramshorn Blackeye, California Blackeye #5, Giant Ramshorn, Extra Early Blackeye, Blackeye Crowder, Queen Anne, and Royal Blackeye. Similar to regular blackeyes, except the seeds are crowded in the pods. This group has seed-eye coloring other than black. Usually it is brown, tan, or pink. Seeds not crowded. Examples: Alalong (Longhorn), Todd, Alabunch, Big Boy, Texas Big Boy, and Royal Pink Eye. Same as above (No. 3), except seeds are crowded in pods. Includes Red “holstein eye” pattern. Examples: Pinkeye Crowder, Browneye Crowder, White Pinkeye. Calico (Hereford), and Alabrowneye. The Seeds are solid black when dry, purple when immature. Seed most always crowded. Most crowders fit into this group, and most all brown seeds fit here. Some seeds are tan colored, with only slightly darker eyes. 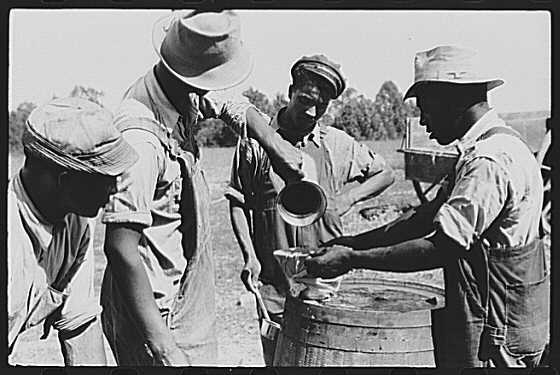 Examples: Grown Crowder, Sugar Crowder, Silverskin Crowder, Alabama Crowder (not the same as Alacrowder), Mississippi Silverbrown, Jackson 21, Dixie-Lee, Producer, Calhoun Crowder, and Colossus. Speckled blue seeds are moderately crowded in pods. 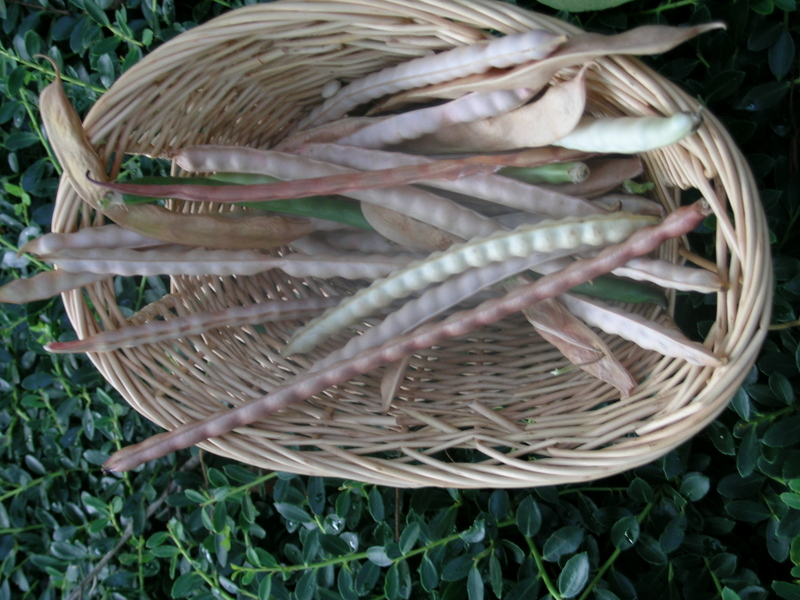 Have largest seeds of the Southern peas. Examples: Blue Goose (Gray Goose), Whittle, Speckled Java, Gray Crowder, and Taylor. Seeds are light green or white, and relatively small. Cooking water comes out bright and clear. Since most creams are uncrowded, most fit into this group. Examples: Floricream, Sadandy, Cabbage (Bush White Acre), Running Acre (Running Conch), Topset, Snapea, Climax, Bush Conch, White Acre, Terrace, Gentlemen, Texas Creams (40, 8 12 others), Elite, Freezegreen, Mississippi Cream, and Royal Cream. Uncolored seeds, but crowded in pods. Examples: Lady Cream, Lady Finger (Rice or Catjang), White Sugar Crowder (actually have a colored eye, so would fit the colored-eye crowder group), Zipper Cream (also called Zipper Peas), Mississippi Silver, and Royal Cream Crowder. Seed pods show some purple coloring, either at tip or all over. Seeds may or may not be crowded. Usually white peas with buff, brown, or pink eyes. Examples: Jackson Purple Hull, Dixie Queen, Herbken, Knuckle Purple Hull, Pinkeye Purple Hull, Purple Tip Crowder, Purple Hull, Big Boy Purple Hull, Coronet, and Crimson. This group includes all those grown most usually for forage cropping and soil improvement. However, they make o.k. table fare. Examples: Iron, Clay, Whipporwill, New Era, Groit, Brabham, Victor, Arlington, Red Ripper, Columbia, Michigan Favorite, Chinese Red Pea, Coronet, and Tetapeche Gray. This group is characterized by having extra-long pods. Length ranges from over 10 inches up to 36 inches. Example: An example of a 10-inch variety is ‘Snapea’ developed by Al Lorz in Florida. A long example would be the yard-long variety called ‘Yard-long Bean’ (Vigna unguiculata, subspecies sesquipedalis (L.) Verde. Its unusually long pods are borne on trailing, climbing vines reaching 9 to 12 feet in length, requiring trellising. The pods are snapped instead of being shelled. Your family had mustard, collards, sweet potatoes, field peas, sorghum (ribbon cane) and corn. I would bet that they probably had watermelon, peanuts or (pindars), and some sort of hot pepper. I’m wondering if ya’ll grew okra as well. Let us know more about your family’s tradition! I just happened across this blog because my older sister and I were trying to track down the variety name of a little dark pea that my Mom still grows. Her family acquired the seeds from a neighbor back in the 1940’s. Some of the things mentioned remind me of my childhood as well as stories my parents told. I am a white North Carolinian, a descendent of several generations of the same. My parents grew up and still reside in the piedmont area of NC. Linnie’s email reminded me of the food my Grandpa raised. I remember eating “chuffies” at Grandpa’s. Grandpa also had a long tradition of sorhgum molasses making (which we just called syrup). I remember visiting Grandpa’s mother when I was a little girl. She had a sweet potato cooking in the ashes of the fireplace. I remember total shock when she later fetched it from the ashes and bit into it, ash covered skin and all! Mom told me how they stored their sweet potatoes in earthen and straw covered mounds, I believe (not 100% sure on that). Sometimes a baked sweet potato would be lunch for Mom. She would take it with her to school, and it could be placed on the radiator to keep warm. Grandpa and Granny also had milk cows and made homemade butter. I grew up on unhomogenized, unpasteurized Guernsey milk. My folks grow collards as well, although as a kid I preferred the turnip greens to collards. Grandpa always grew lots of turnips. I have found that collards are much better if they are eaten young than if left to mature, so I usually grow them and eat a few leaves at the time as the plant grows. I enjoyed the little trip down memory lane that your blog prompted. Nigel, I know this reply is three years later than your post but I have been looking for some of those Jackson 21 / running acre pea seeds. Would you please, please sell me some or tell me where to order them from. I haven’t found any for sale in the seed catalogs or anywhere else. If anyone else happens to see this post and has these pea seeds to sell, please contact me. I am looking for the sugar crowder pea to plant cant find it at my co-op my post office box is 974 Kosciusko,ms 39090 to let me know if some one has some ,my co-op is attala county co-op, Kosciusko, MS 39090. I live in Tennessee. I grew up in Wakulla County Florida. We grew, harvested, and ate a lot of cream 40 peas. I still love them but can only get them when I visit my dad in Sopchoppy Florida. And that is ok. My soil here in southeastern TN isn’t ideal for growing them. But I so enjoyed reading these stories. I am younger than some but our little town in The Panhandle provided me with old-fashioned raising. I am 40 and have shelled a many a bushel of peas of different varieties. But those Cream 40’s are the best to me. that special pea . Can you tell me where I can order them? There’s a place in Tallahassee FL called TomatoLand and a country store near Miccosukee called Bradley’s. As well N. Florida growers gather for two huge Farmer’s Markets on Wed And Sat in Tally. All stock multiple varieties of locally grown field, crowder, acre, purple hull, etc. Now getting them to send to you? Best of luck. I can eat a whole pot of white acres, one dixie cup at a time..the way my sis and I used to sneak ’em before dinner whenever Gladys made them.